Do you get that sick feeling at the beginning of the month when you realize that it is time to make a new budget? I know I have, and that feeling is not pleasant. I am so glad that today we have tools to help us with this task, and make it easy. The Budget Mamma has created a workbook that is easy to read, and complete. I personally use this workbook, and would love to offer a free copy to one of you. 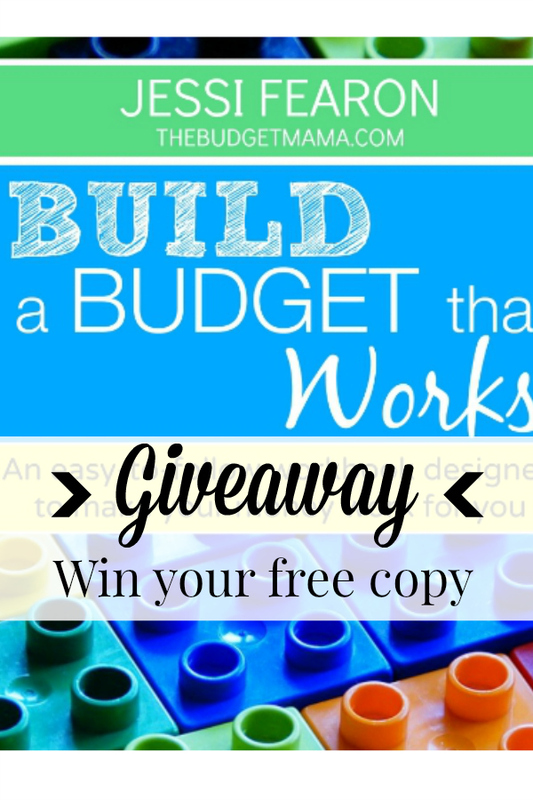 Jessi Fearon,”The Budget Mamma” has kindly given me a copy of “Building a Budget that Works” to giveaway. You can read about my review of this workbook in an earlier post here. You will not be disappointed. I encourage you to go to her website and see everything she has to offer. She is very generous with her knowledge, and really has a heart to help people. All you need to do is leave a comment below, and let me know your biggest budgeting fear. Review: The Budget Mamma - "Build a Budget that Works"
« $250 Visa Gift Card Giveaway! Just in time for Christmas. My biggest fear is not budgeting enough in certain areas like savings. My paycheck is not the same amount every time and I find it hard to set the budget. Our income fluctuates month to month, that is where you have to prioritize the bills. Keep trying Catherine!